Who says shelves are boring? 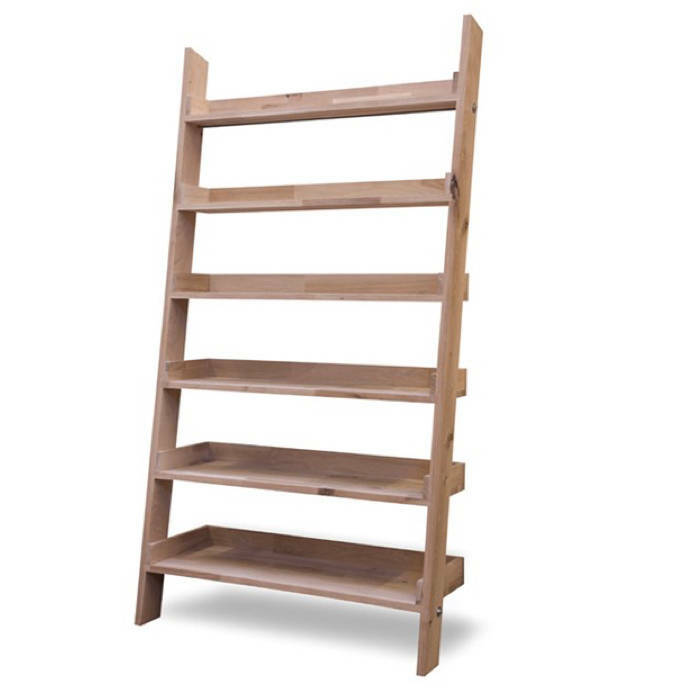 Our Large Raw Oak Shelf Ladder provides a quirky yet practical solution to all your storage and shelving needs. With its clean lines and simple shape modelled on the traditional stepladder, this individual wooden shelving unit will add a little bit of style to any room. 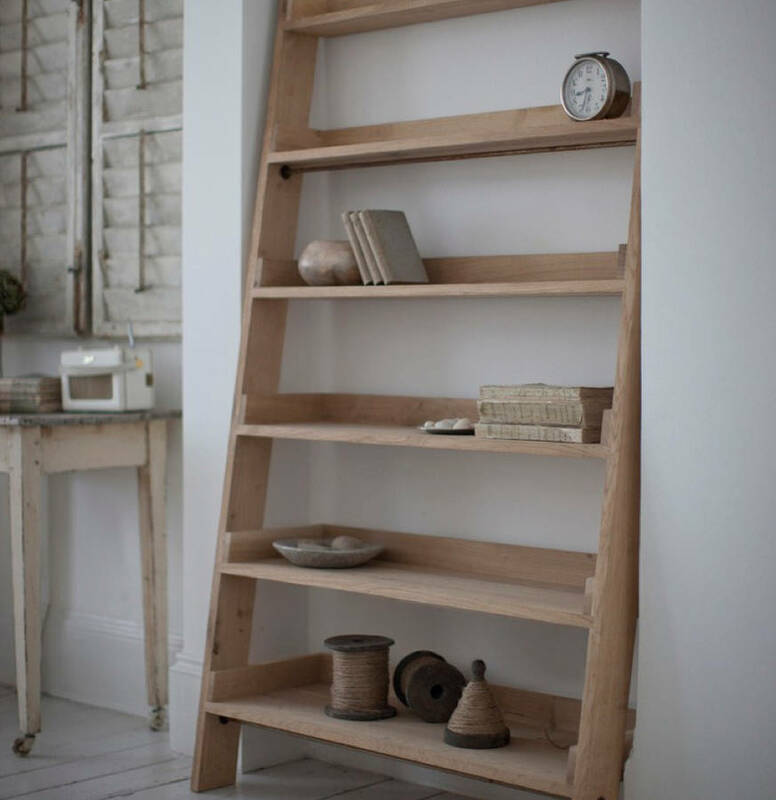 Our Large Raw Oak Shelf Ladder has a shelf for everything - from precious objects and family photos to books, DVDs, office files and the inevitable boxes of ‘stuff’. Its timeless Shaker-style design means that it will look great in both a modern and a more traditional setting. 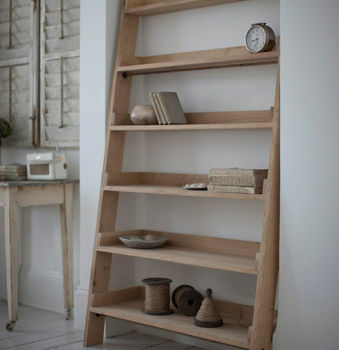 The Shelf Ladder is made of kiln-dried raw oak that is responsibly sourced from fully sustainable forests. 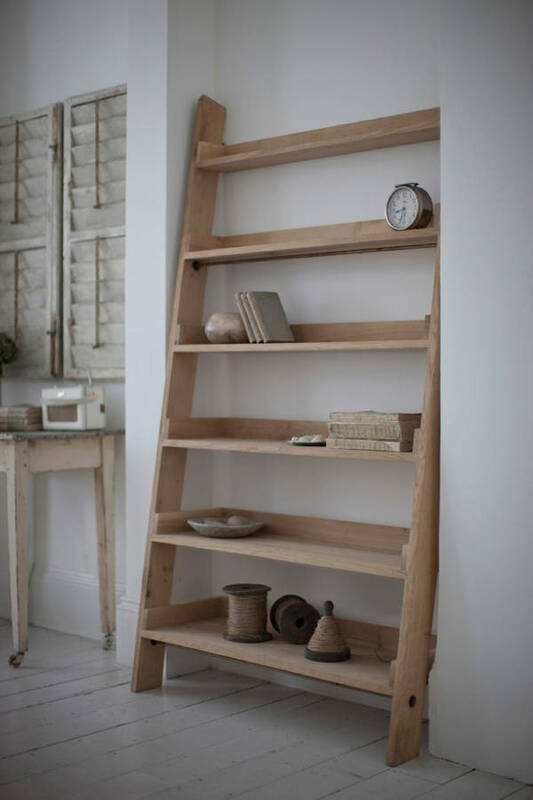 As this is a natural product and each free standing Shelf Ladder is individually made, there will be slight variations in colour, grain and texture between units – but we think that’s all part of their charm! To prolong the life of your Oak Shelf Ladder, we recommend that you apply a hard wax oil once initially and then annually after that. Delivery is by pallet, Monday to Friday. You'll receive a phone call to arrange a suitable day for delivery. There must be someone at the address to receive the delivery. Made from responsibly sourced raw oak with a zinc support bar below top shelf for extra strength.